One of the programs Libby spearheaded in 1991 was Water World, a collaboration with Centrum at Fort Worden in which elementary school students integrate scientific investigation with the creative arts. Thanks to the ongoing support of the PTMSC and Centrum, the residential program continues to this day. 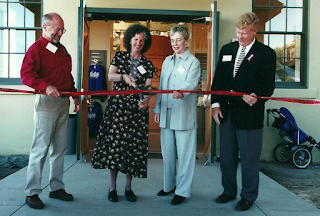 Nearly a decade had passed since Judy and Libby started the PTMSC, and the organization was becoming increasingly well known in the community. Credit flowed to the incredible networking efforts of the founders and the organization’s many volunteers. The PTMSC was on the radar of local, state and federal agencies, and local businesses were supportive. 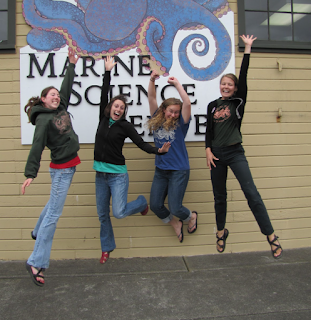 The PTMSC’s 14-year involvement with the Port Townsend Bay Monitoring Project (MOPO) was a good example. “We asked permission to bring our boatload of students out to sample on a monthly basis and they were all very cooperative,” Judy says. It took some time to determine the best sampling methods, but the MOPO team finally decided to measure the biodiversity of benthic (bottom dwelling) animals at the different sites. “This turned out to be very informative, which is why I was able to use the data to write a paper on it years later when I got my master’s degree,” Judy recalls. At this point, The PTMSC was offering a regular lecture series around town, with knowledgeable researchers as speakers. 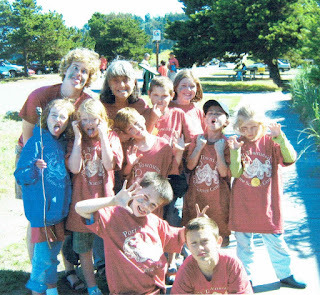 Week-long youth summer camps had also become a fixture. 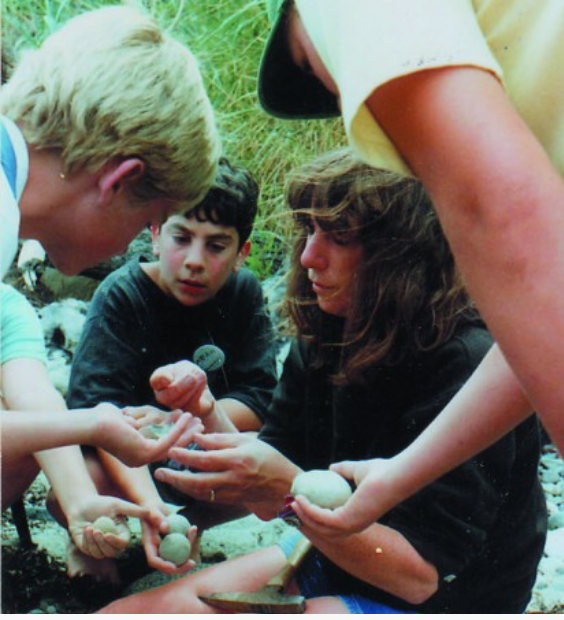 In the fall of 1994, Judy was hired to teach a 9th grade physical science class, taking her away from leading MOPO and teaching all of the Port Townsend School District classes. The following year, she applied to the Peace Corps. While waiting for her assignment she went back to teaching the marine science classes for the school district, eventually departing for Panama in 1996. 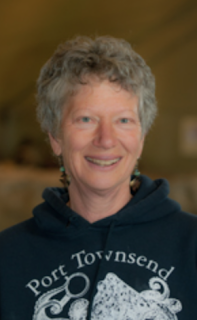 She would not make Port Townsend her home again until 1999. Despite Judy’s absence, Libby says having a staff made a big difference and was the reason the PTMSC was able to continue its programs. “By that time, Anne Murphy was our executive director and we had a volunteer coordinator, Judy Friesem, and then we hired Cinamon Moffett as the first marine educator,” says Libby. 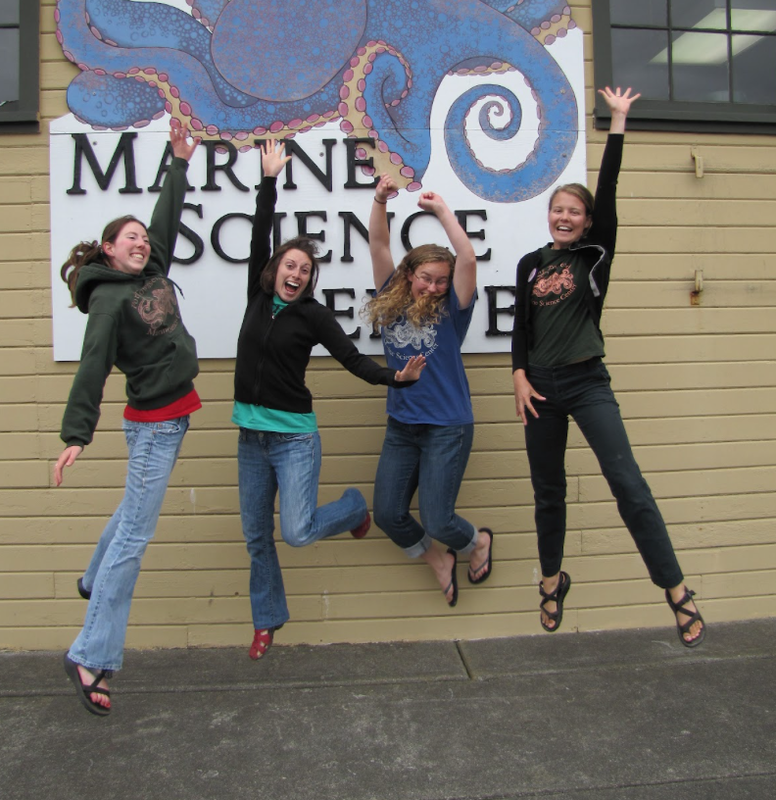 In 1997 the PTMSC launched Onshore-Offshore, a marine ecology teacher training program designed and directed by Libby. 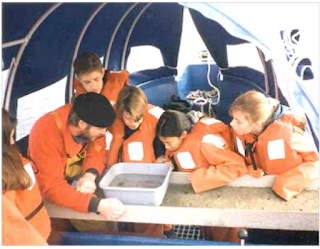 Participants spent a week onshore doing labs and classes and half a week onboard the schooner Adventuress gaining hands-on experience with intertidal animals & plants. 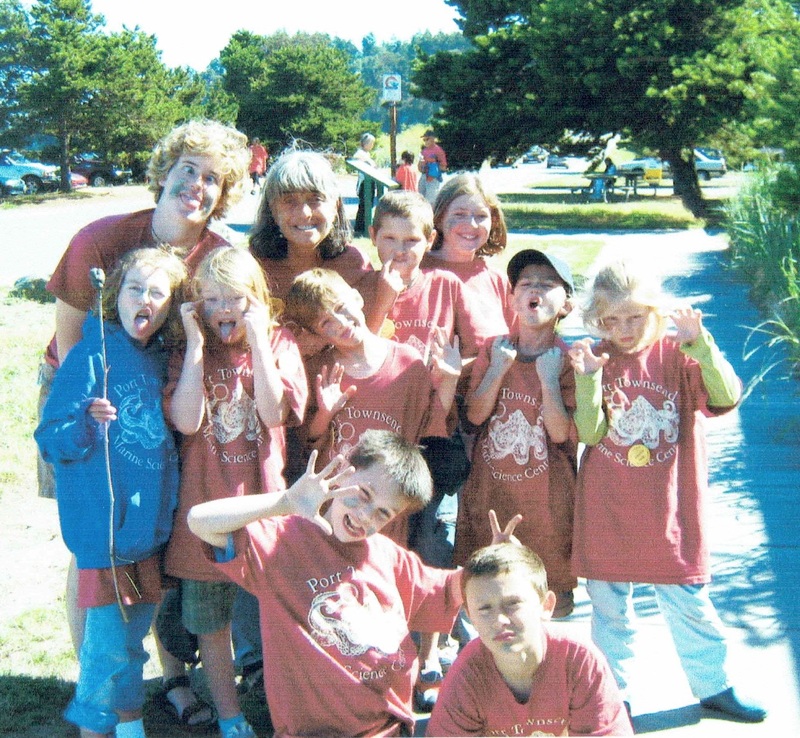 Two years later, after returning from the Peace Corps, Judy finished her master’s degree at Friday Harbor Labs and worked with the FHL for two years in outreach education, including the renewal of the MOPO program that she started. In 2001, the PTMSC opened its new Natural History Exhibit with displays created by Libby. 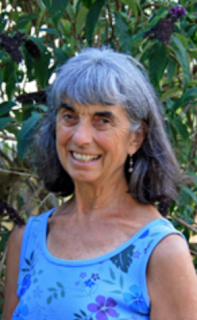 And in 2004, Judy was hired as the new NHE Educator with responsibilities that included teaching the Onshore-Offshore program. Looking back at their time as active co-founders, Libby and Judy say they welcomed the added professionalism and the skills each person brought to the team as the organization continued to mature. As evidence, she points to a two-year grant project undertaken in the mid-2000s to study the habits of forage fish, such as herring, that involved outside researchers. Teaching sessions were also open to the public. Both women agree that, starting in 2001, the addition of college graduate staffers from the AmeriCorps program – women and men rotating in and out of the PTMSC on an annual basis -- not only provides the young adults with valuable on-the-job training, it also helps the organization remain fresh and vibrant. “It’s an experiential sort of graduate school and what they learn here is phenomenal,” says Libby. 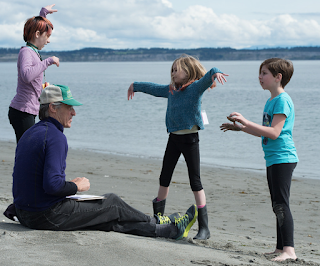 Perhaps the most enduring quality infused into the formation of the Port Townsend Marine Science Center by Judy and Libby was a perpetual spirit of collaboration. “It's amazing to see how the PTMSC is touching other people's lives,” says Judy. “I'm struck by how it's grown to such a wonderful thing. It's like having a baby. We had a hand in making it, and it's turned into something just beautiful with everyone's contributions."